Ultra-fine unbleached brown rolling papers from France. 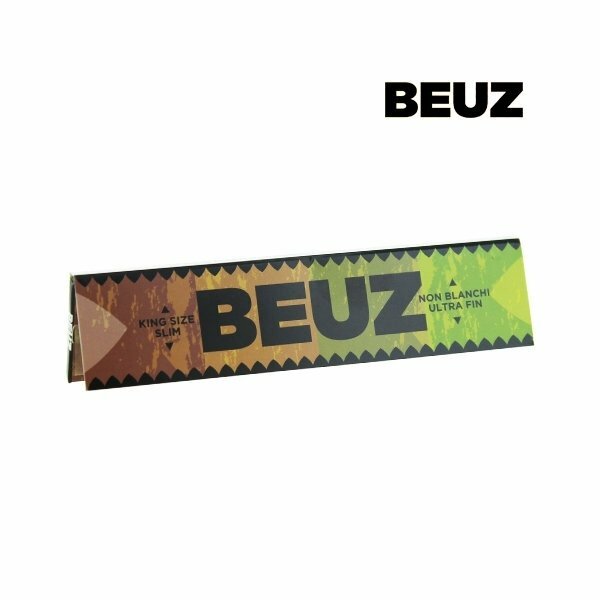 In the Breton language, Beuz means strong, extra, very good. 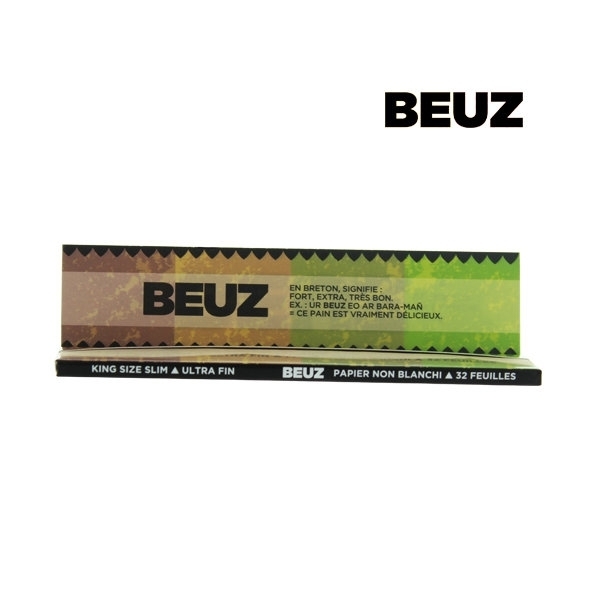 Each pack contains 32 king sized rolling papers. Unbleached, ultra-fine but ultra strong! Dimensions of a sheet: 110mm x 44mm, Thickness 11.8g/m². Wrost rolling papers brand ever seen. This is paper only, not rolling papers. Or are you a god rolling joints or you will surely waste a lot of papers. Where is the glue?????? Don't buy. Similar as the "brown smoking". only 32 leaves not 38 !